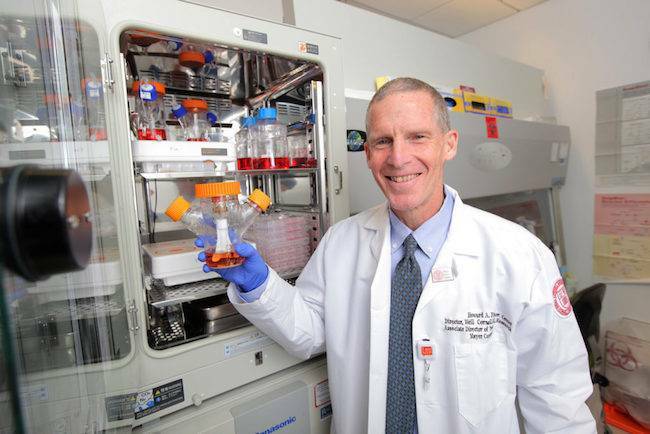 Dr. Fine is a veteran oncologist who turned to using the miniature 3D cell clusters after witnessing years of treatments fail to cure his glioblastoma patients. That failure has continued steadily despite endless “successes” to cure cancer in mice, including deadly glioblastoma. These scientists are affirming what science journalist Sharon Begley has termed “oncology’s dirty little open secret,” namely that the standard method of transplanting human tumors into the bodies of mice has very little bearing on the intricate biology of human cancer. What Dr. Fine has observed over his 30-year career is increasingly acknowledged by many other scientists and doctors. “The mouse models don’t recapitulate the human disease,” explains Ravi Basavappa, Ph.D. a biochemist with the National Institutes of Health. Dr. Christopher Austin who heads NIH’s National Center for Advancing Translational Sciences quips that “Cancer has been cured a thousand times,” while pointing out that these cures were only in mice. Dr. Fine turned to using organoids when he realized a new direction was desperately needed. 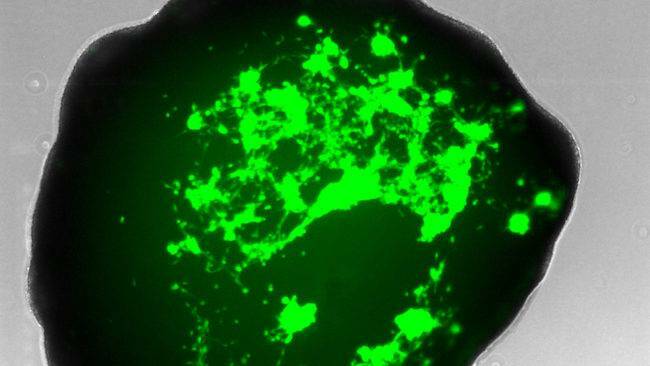 His work is now demonstrating that the brain organoids implanted with human tumor cells closely simulate the course of glioblastoma. Unlike the mouse models, the implanted cancer cells form extensive branching that is characteristic of glioblastoma and what makes it so difficult to treat. “[This] looks exactly like what happened in the patient’s own brain,” says Dr. Fine. 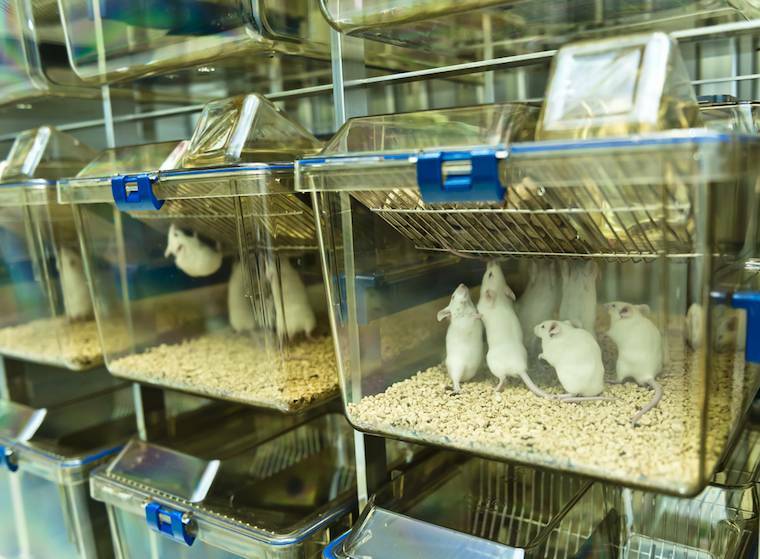 A recent study may explain why the mouse models are failing. 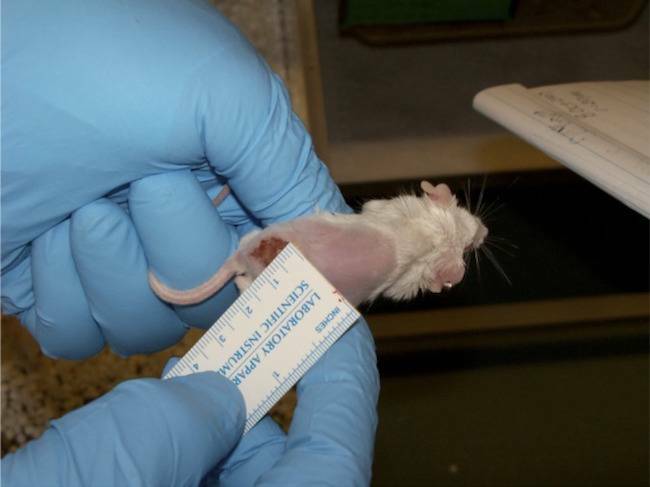 Scientists at Harvard and MIT closely analyzed over 1,000 implanted mouse tumors representing 24 types of human cancer. 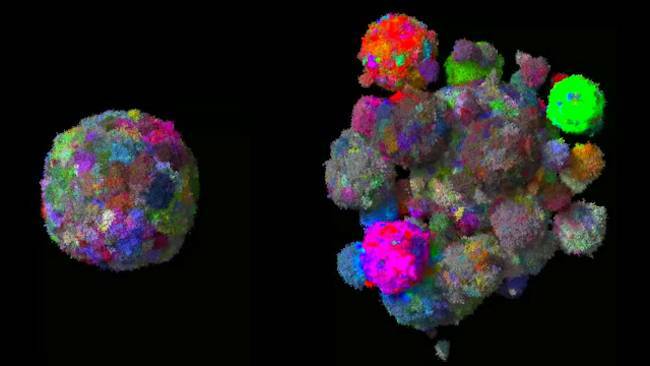 They discovered that, as they evolve, the grafted tumors undergo genetic changes that radically reshape the tumor’s genome and alter its response to chemotherapy. For example, glioblastoma tumors gain extra copies of chromosome 7, but mouse models typically lose those over time. One might think that these latest findings would be the final nail in the coffin for mouse models. But that doesn’t appear to be the case. Carlos Caldas, a cancer researcher at the University of Cambridge, was one of several scientists who responded to the Harvard study by contending that mouse models don’t differ that much from human tumors. “They [mouse models] are here to stay,” he maintains. But despite the pervasive mania for mouse models, many scientists and clinicians are calling for fundamental changes in cancer research. Oncologists like Dr. Fine, who are exasperated by their patients’ tragic deaths, make up one category. And biomedical engineers, without long careers built on mouse models, are another. If we are to truly see progress in cancer treatments, scientists are going to have to let go of their mouse models. They’re going to have to do something they’re not particularly good at, and that is to allow science to prevail over sentiment, not the other way around.